Everyone has a red handle over his head. All that’s required is the courage to pull down. 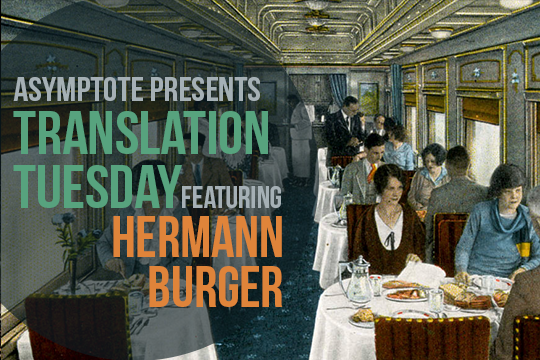 Fresh from releasing our massive quarterly edition gathering new work from 30 countries (a sixth of which make up our Special Feature on Literatures from Banned Countries), we’re thrilled to present one of the issue’s many amazing highlights: a new story by Hermann Burger, “one of the truly great authors of the German language: a writer of consummate control and range, with a singular and haunting worldview.” German critic Uwe Schütte goes on to lament: “Yet it is not surprising that he fell into obscurity after his death, from an overdose of barbiturates at age forty-six. He shares this fate with many of the most august names from the peripheries of German-language literature who, never managing to escape from the ghetto of Austrian or Swiss publishing, either gave up in exhaustion, or went on writing and were forgotten nonetheless.” When you’re finished with this brilliant story, don’t forget to check out Schütte’s accompanying critical introduction in our free portal for world literature. I sit in the dining car in my customary place. On the table stands a plaque: Réservé. I have the table to myself, although at this hour, the dining car is always rather full. I’m free to invite someone over, as I often do, to have someone to talk to during the long journey. The express train left punctually from the station concourse with its frosted glass, brown platforms, hurried people, plastic voices in the loudspeakers, and races now through the industrial quarter past the roadworks, apartment blocks, refineries, and silos. As always, a certain comfortable feeling of movement; the rhythm of the track joints is soft. A park with bright yellow building machines, which always look to me like giant dinosaurs from a vanished era, stretches out in the blinding midday light. Backhoes, fangs raised skyward, heavy dump trucks with ribs on their laterals, graders and excavators, a tranquil family, all together. I love how the landscape whizzes past in the train, this fleeing joy from a picture book. A bridge, a brief, hollow sound—and already, the river with the birches returns. Punctual as ever, the service has begun, the waiter takes the place settings from my table. “Monsieur?” he says, as I close the menu. I nod in agreement with the menu of the day, and order a bottle of Dôle to accompany it. “Monsieur,” the waiter says again, after bringing me the soup, a consommé finished with white wine, sloshing slightly from the shuddering of the train car. Bon appétit, I wish myself, breaking my bread and giving the server a sideways bow. He knows he has a good tip coming, and is right to give a conspicuous smile. Monsieur, Monsieur, one hears from the other tables. It is an elegant proceeding. The waiters in their khaki coats speak fluent French and broken German. This team in particular serves quickly and with grace. One simply must see with what precision my waiters lay the spinach on the plate, how they post on one leg and balance the meat platter with its perilously whipped-up sauce through a curve, or how they pour the wine without spilling a drop. That is service! The guests, business travelers in dark suits, mostly, take pains to spoon their soup as soundlessly as possible. The chef de service greets the newcomers with the question: “zum Essen, pour manger?” When they refuse, they are dismissed with a shrug of the shoulders. I understand the head waiter’s verdict. There are always travelers who think one can sit in the middle of the dining car and order a peppermint tea or a plate of terrine. In fact, we, the regulars and staff, have no desire for our established ceremony to be spoiled over a bit of terrine. I always say: after all, it’s called the dining car, not the picnic wagon. By the way the other guests pour, I see whether they have dining car experience or not. The neophytes let the glass stand on the table, so that, naturally, the beverage spills over and leaves spots behind on the blinding white tablecloth. The old hands hold the glass in front of the bottle’s neck, but without bracing their elbow. I, and I say this not without pride, am an old hand. 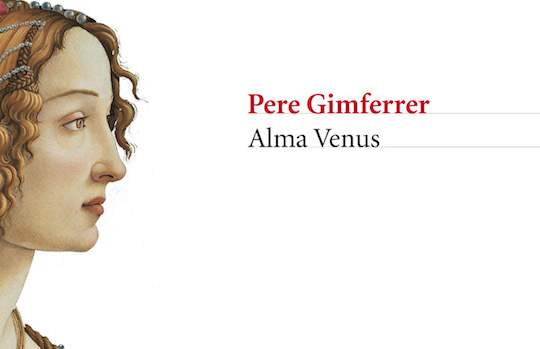 Alma Venus, a long poem in two parts by Spanish and Catalan writer Pere Gimferrer, translated by Adrian West, is now available from Antilever Press. 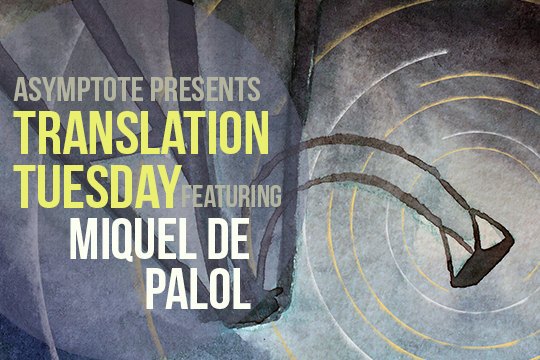 Gimferrer’s creative work appeared in English translation for the first time in Asymptote’s January 2013 issue, after which Adrian West began translating Alma Venus. Gimferrer’s work has been awarded the National Prize of Spanish Letters (1998), the Reina Sofia Prize for Iberoamerican Poetry (2000), and the Octavio Paz International Poetry and Essay Prize (2006). How the word says something else. In the murk of the final words. Yet, or drawn out and entombed.